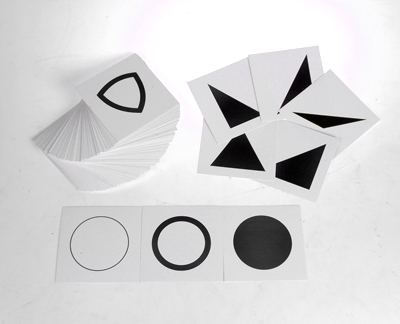 Three series of 35 cards that correspond to figures contained within the geometric cabinet. Each shape is represented in three different ways, ie. as a thin outline of the shape, as a thick outline, and as a filled in shape. 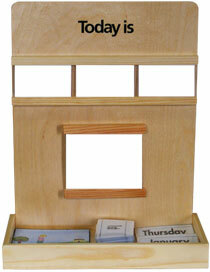 The geometric insets from the geometric cabinet are matched with the filled in cards first, and later, when the child gains greater dexterity, with the thick outlined card, and finally with the thin outlined cards.